Not only is pumpkin tasty, it is also healthy. Pumpkins can help stimulate kidney activity and help with blood circulation. Pumpkin juice can also treat burns, inflammation and insect stings, although that is not covered in the scope of this article. Cooking pumpkin is easier than it sounds. Buying a fresh pumpkin is tastier than buying canned. Here is a simple recipe on how to cook pumpkin. First select your pumpkin. Select a pumpkin that is small and has a great orange color. Rinse the outside in cool water. Do not wash with soap. You will then want to cut the pumpkin in half. You will need a strong and sharp knife for this step. Scoop out the seeds and any dangle material inside. Place the pumpkin inside the microwave and heat on high for 15 minutes. Check to see if the pumpkin is soft. If not cook for an additional 5-10 minutes. The pumpkin should be soft enough to scoop out. You can now puree the pumpkin with a hand mixer and use in your favorite dish. Pumpkin can be served with fish, potatoes or steak. 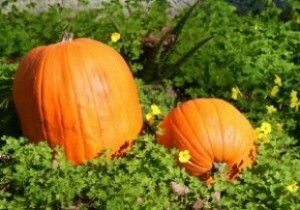 Many also use pumpkin puree to make a sauce for ravioli. A ruby port wine is the perfect compliment to any pumpkin dish.